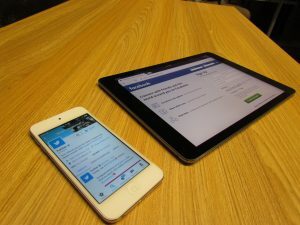 How Does Social Media Marketing Help Plumbers? Does My Plumbing Company Need to be on Facebook? Are Facebook Ads More Effective Than Organic Results? How Frequently Should I Post on Social Media for my Plumbing Company? Is Advertising on YouTube Worth It for Plumbers? Should My Plumbing Company be on Instagram? Engage Customers Through Social Platforms Like Twitter, Instagram, and Facebook. These are all great questions, and we’re glad to hear our new clients buzzing about social media! Social media marketing for your plumbing company may have seemed unnecessary or excessive a decade ago, but now, if your plumbing company isn’t utilizing this medium, you are simply leaving money on the table. Social networking is an essential tool for any business, for more reasons than one. To begin, visibility is a huge part of any internet marketing strategy, so it is important to have your company available on as many platforms as possible for potential clients. This includes websites such as Facebook, Instagram, YouTube, Twitter, and more. In addition to expanding your visibility, social networks play a key role in connecting with your clients, impressing new clients, and maintaining a sense of customer loyalty. Clients love when they can interact with their go-to service and product companies. Be sure to monitor the comments on your social pages, and answer them with thank you’s, good jobs, and friendly tips. But wait, there’s more! Search engines love to see your social accounts. This helps the search engines identify your business as an authority, and allows you to send out helpful backlinks on your social accounts. Social Media Marketing for Plumbers is Intuitive and Aims to Increase Online Visibility and Brand Awareness. As far as paid ads on social networks go, they can serve as an incredibly useful tool, and easy to target to your preferred audience. However, having your plumbing company at the top of organic search results will always produce better results than paid ads, in terms of money spent vs. money gained. Since SEO is an organic option, efforts can be as endless as needed without extra expense, while PPC social media campaigns can quickly become costly. Plumbing SEO earns a much higher return on investment when compared to paid ads. What’s the ROI for Social Media for Plumbers? Once you begin to optimize your website for important plumbing keywords in your target demographic, you will see a dramatic boost in your plumbing company’s success. The return on investment for social media marketing services, when combined with targeted SEO, is one of the highest returns plumbers can get from any digital marketing plan. This service isn’t about gimmicks or luck. This is a well-rounded understanding of what search engines and potential clients look for in your company, and how to show them you have what they need. We help you market smarter, so you can pay significantly less for ads online. At the Plumbing Webmasters, we offer a variety of social media marketing services designed to help our clients succeed. 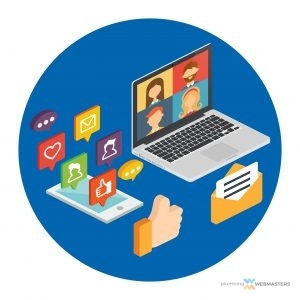 Our social marketing strategies are detailed, comprehensive plans that will help you connect with your clients online, encourage customer loyalty, drive leads, and increase conversion rates. We can help you with any social outlet you would like to pursue, but we especially focus on the big traffic accounts such as Facebook, Twitter, and Instagram. Plumbers Are on Twitter, Facebook, Instagram, and More! Have you ever considered utilizing Twitter as a marketing tool for plumbers? Most plumbers leave this valuable asset untouched! We can even help you boost your plumber company online marketing with Instagram. Despite the seemingly limited nature of Instagram, this platform is gowning every day as a marketing gold mine. A primary goal in social marketing is to earn consumer attention whenever a necessity for plumbing services arises. We are happy to assist you with any social platform you may need to increase your visibility and conversion rates. At Plumbing Webmasters, we offer a free social media analysis for plumbers. Our analysis helps you determine strong points in your online presence, and where improvements are needed. We don’t focus only on one platform but instead review your social signals on a macro level that is constantly evolving. In 2019, Instagram has really fortified itself as a powerhouse in the social world. Similarly, Facebook has adjusted its algorithm to prevent content spamming with the hopes of bringing people closer together. 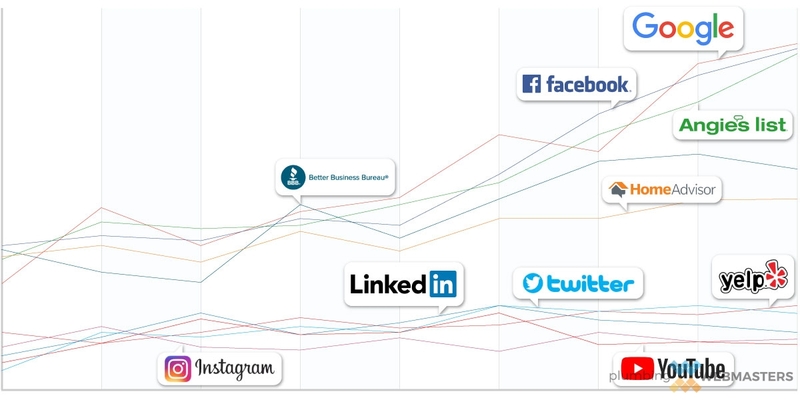 As the internet continues to evolve, expect more changes in the social landscape. You can count on Plumbing Webmasters to be ahead of the curve so that you can focus on your day to day operations. We take our customer base very seriously. We know there is a wide range of options for plumbers to choose from when pursuing internet marketing. We pride ourselves in being a digital marketing company that specializes in the plumbing industry. We are very in tune with the pulse of the plumbing community and know what it takes to properly market your services. If you are interested in boosting your brand recognition and client base through social networking, give us a call at (877) 388-9884 today! Our services are designed to help your business succeed. Updated on April 11, 2019 at 4:33 pm by Plumbing Webmasters.